One of the biggest reasons I purchased a Droid X instead of the shiny new iPhone 4 was the ability to return to my customization roots. I remember the good ol' days of tweaking my Samsung i730 Pocket PC , and all of the time spent reading about the latest home screen additions (now popularly referred to as "widgets"). 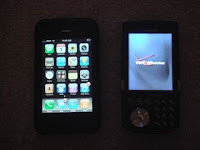 I will admit to being initially reluctant to start the same process with the Droid X, because it is a dangerous path that inevitably leads to phone slowdown and factory reset, but hey, if you can't enjoy your phone, why get it in the first place, right? 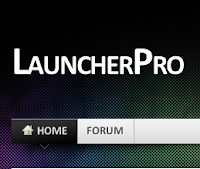 Thus, on a dark and rainy night, I dove head first by picking up Launcher Pro. Mainly, I wanted a way to get my phone to look a bit more like the HTC phones that are out there. There's the Beautiful Widgets app that brings the now iconic clock/weather widget, but this is entirely separate from the Launcher Pro experience and I'll write an additional post about this at a later date. With LP, you get a nice 3D dock based at the bottom which you can fully customize with contacts and applications, some with badges for email, text, and voicemails. You can have up to 3 docks, and they can loop endlessly, so you don't have to go back and forth between them all. On the main screen, you can add all of the Android widgets you want, but do note that the Motorola widgets will no longer be resizable. This was one of the main downsides to the program. Other than that, you have tons of preference settings, many of which can help improve the speed and stability of the application (though at what cost to memory and battery remains to be seen). 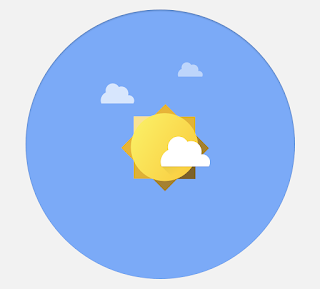 I use a calendar widget that allows for scrolling, and LP supports this. Another big eye catcher was the app preview screens. With the press of the home button, you can see a preview of all available home screens (up to 7) and then switch to a specific screen through the preview. Very similar to the Mac OS Expose feature, this is more for appearance to me than useful. I'd love to see a similar feature that shows one's running applications, though I might be scared of what I'd discover in the end. I particularly like the "Thus, on a dark and rainy night, I dove head first by picking up Launcher Pro." Is there a way to revert back to the original display? I have both LauncherPro and ADW.Launcher downloaded. When I press the home button, it gives me the choice to navigate between the two but lacks an option to return to the stock display. Good question Edward. There's a home switcher app that lets you choose between launchers such as LP and ADW. You can also revert to stock, but when I used it, I could not have stock be the default. Perhaps, this has been fixed or I missed something. Either way, hope it helps. Whenever I restart the phone my contact widgets change by just showing an over sized .jpeg of my friends and family. It was so irritating I've decided to revert my phone to its original settings until these kind of issues get worked out. I liked the app, but not like this..
Will give it some more time to fix its bugs. csaba: I'm sorry that you're experiencing this issue. I haven't had this issue on the Droid X, so I'd be curious to hear what phone you were using. I've been pleased with the application, and welcomed the newest widget (Friends) as of 9/22/10.